Hi there, it’s Charlie speaking. Welcome on board, get ready for take off ! 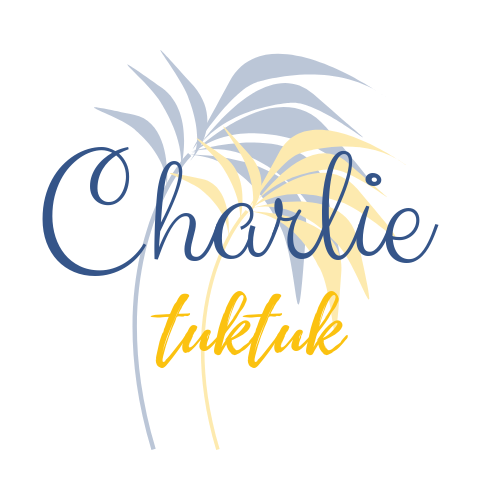 Charlie Tuktuk is the blog that helps you realize your dreams of adventure, travel and expatriation. Traveling is a real life experience and the best way to discover yourself, meet people, open your mind, enjoy and live your best life. The journey is liberating, allows you to become who you want to be and fly by yourself. Over the past 10 years, my choices and experiences have been guided by this insatiable desire to discover the world. The result ? It shaped the person I am today. I encourage everyone to go on a life-changing travel. But go for what ? To discover, to learn, to enjoy coming back, but mainly to grow as a person. I am pleased to say that it is becoming easier to travel, faster and accessible too. This, as soon as you find the right keys and give yourself the means to achieve it. If these few words echo in you, if you feel boiling this deep desire for a getaway and new adventures; but as the same time, for some reasons, you do not jump for it, then you will find on this blog some keys to help this desire to grow and to eventually make the step to go. Through the pages of Charlie Tuktuk, you will find advice and personal feedback to live the adventure of your dreams, this journey that will change your life. We talk about different topics related to travel : new ways of travelling, live and/or work abroad, digital nomadism (so 2018 ! ), among others. I want to share with you both practical advice : how to organize such travel ? how to go living/working in another country? how to become a digital nomad ? Are you also dreaming about new horizons ? What if you would start planning what you are secretly dreaming about ? How about going on a world tour ? Expat yourself in a foreign country, or even working while travelling ? You landed on the right page, welcome to the adventure, follow me ! Follow me on Facebook and Instagram, this is where I post pictures. If you wish to contact me, click here. To receive news from Charlie, it's here ! Top ! Bienvenue à bord !